As a property owner, you need to make sure you have a clear title on the property. One way to do this is to file a “friendly lawsuit” in court against anyone you have reason to believe may try to claim ownership in the property. Learn the basics of quiet title action. Property Boundaries Uncertain: It may be unclear where the exact property borders are. This could be due to an incomplete survey, lack of property survey or a dispute with neighbors. Easement on Property: There may be an easement on the property, such as a shared driveway, which may cause property ownership to be questioned. Old Mortgage Payoffs: A previous owner may claim that an old mortgage was paid off, but may not have any physical record or proof of the payoff. Claims By Lienholders: There could be claims by other lienholders on the property, such as a lien by the city for unpaid taxes, which do not have documentation to show that they were discharged. Heirs Attempting to Claim Ownership of the Property: If a homeowner dies, their property is often sold in what is known as an Estate Sale. This is based on the belief that all the heirs to the property that were named in the owners will have agreed to sell the property. If you are unable to confirm that all heirs have given up ownership in the property, a quiet title lawsuit may be the way to establish clean title and sole claim to the property. 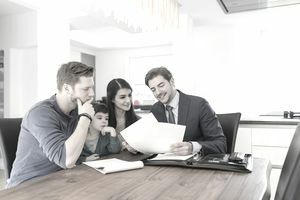 Clear title is essential when you are trying to obtain financing for the property or when you are trying to sell the property to another buyer. It is proof that you own the property and that no one else can try to claim ownership or a right to the property. A quiet title action is a lawsuit that is performed to establish clean title and ownership of a property. If you do not have a clean title, you will face issues when trying to sell the property or obtain financing for the property. The purpose of this lawsuit is to quiet anyone who may try to challenge the ownership of the property in the future and to wipe away any issues that could cloud the title. This type of lawsuit is usually performed to clear up specific known issues on the title. Therefore, specific defendants must be named as defendants in the lawsuit, such as old lienholders or former owners and their heirs. It depends on the state. Each state has specific laws about who is able to file a quiet title action. Some states only allow the lender who holds the mortgage to file this type of lawsuit. In other states, anyone who has an interest in purchasing the property can file this lawsuit. Other states require the current property owner to file the quiet title action. Plaintiff: The person or group who is trying to establish ownership of the property. Defendants: Anyone who the plaintiff believes could try to claim ownership in the property. There does not have to be an active dispute in order to file a quiet title action. It is often seen as a preventative lawsuit, which aims to establish the clear owner of the property and prevent anyone else from trying to claim ownership in the future. The plaintiff must file a quiet title action in a court of law. The defendants will be notified and given time to respond to the complaint. Based on state law, the defendants will have a certain number of days to respond to the complaint. If the defendants do not respond or do not contest ownership, the plaintiff will be granted clear title. If the defendants contest ownership, the case will go before the court. It can be a lengthy battle to determine who has the legal ownership of the property. Filing this type of lawsuit could cost the plaintiff anywhere from a few hundred dollars, to a few thousand dollars, depending on court costs, the ability to contact the defendants, and attorney’s fees.